23 November 2016 New York Times: "When you’re a kitten, there’s a lot to learn. In a room lined with cages on the Upper East Side of Manhattan one recent afternoon, Imando was getting a lesson in eating solid food. Imando’s teacher, Lourdes Bravo, let go of him for a second. He tottered right into his bowl of food. 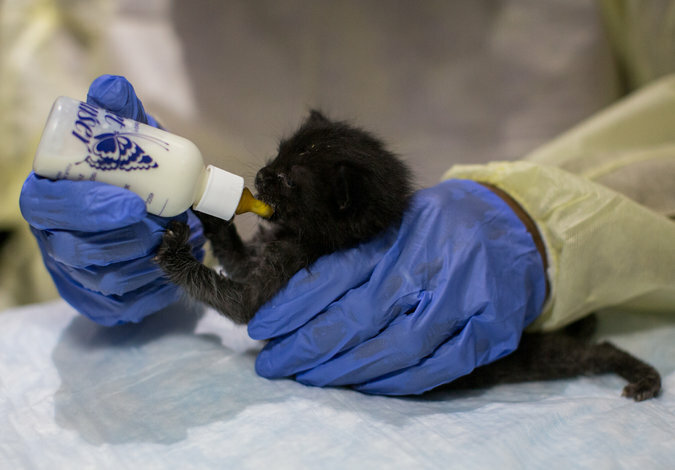 This kind of thing goes on round the clock at New York City’s only high-volume kitten nursery, run by the American Society for the Prevention of Cruelty to Animals. At the nursery, a concrete-floored, bunkerlike space on East 91st Street, A.S.P.C.A. staff members and volunteers tend up to..." read on.